You can Dance! Master THE TWISTER, four other dances and amazing new moves to YOUR music. TWISTER DANCE includes the 2-in-1 Dance DJ console with music, lights and an mp3 player slot as well as 10 non-slip dance spots to show you the steps…. This toy costs approximately £26.99 (for the latest and best prices make sure you check our retailer list for the Twister Dance above). 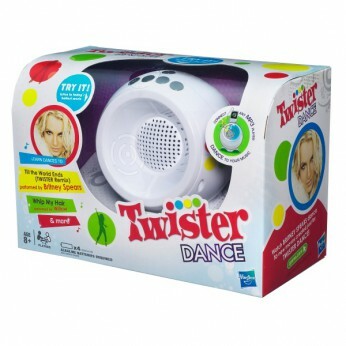 In our review of Twister Dance we classed it as being suitable for ages 5 years, 6 years, 7 years, 8 years but recommend you check the manufacturer specific advice before purchasing.